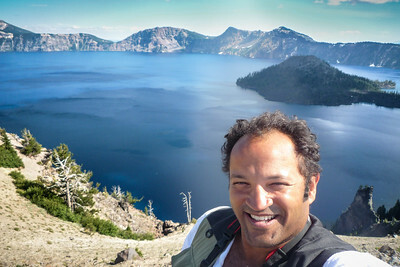 This album focuses on the magnificent Crater Lake. 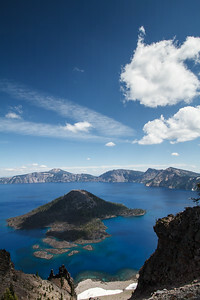 Oregon’s only National Park surrounds a picturesque lake (at 592 m) that constitutes the deepest lake in the US and the seventh deepest one in the world. That was my last National Park of my wonderful trip. I was impressed & marveled by the so-called Wizard Island that emerges in the Crater Lake and provides such intriguing & fascinating landscapes. 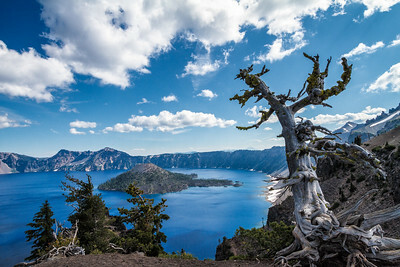 Amazing landscape at the Crater Lake. Love the shadow of the cloud on the symbolic emerging hill (so-called Wizard Island) bringing drama to the scene. The Artist enjoying the Beauty of the Crater Lake. 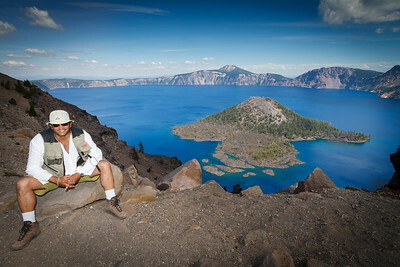 Breathtaking panorama of the magnificent Crater Lake. Stitched with 12 (handheld shot) vertical frames. 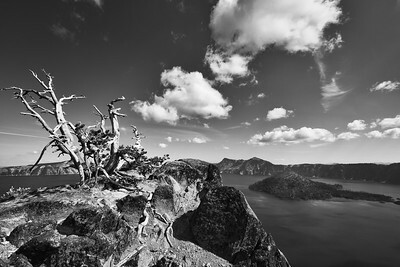 Yet another amazing crazy landscape around the stunning Crater Lake. Love also the drama brought by the picturesque old dead tree standing in the foreground.